Media captionBishop Chamberlain is said to be in a long-term - but celibate - relationship. The bishop of Grantham has become the first Church of England bishop to say that he is gay and in a relationship. Bishop Nicholas Chamberlain, a suffragan in Lincoln diocese, was consecrated last year by Archbishop of Canterbury Justin Welby - who has said he knew about the bishop's sexuality. He was in a "long-term and committed" relationship, Archbishop Welby said. Bishop Chamberlain says he obeys Church guidelines, which say gay clergy must remain celibate. The archbishop also said: "His appointment as bishop of Grantham was made on the basis of his skills and calling to serve the Church in the Diocese of Lincoln. Bishop Chamberlain's sexuality emerged in an interview with the Guardian, and it has been reported that he gave the interview because his private life was about to be exposed by a Sunday newspaper. "It was not my decision to make a big thing about coming out," he told the newspaper. "People know I'm gay, but it's not the first thing I'd say to anyone. Sexuality is part of who I am, but it's my ministry that I want to focus on." Susie Leafe, the chairwoman of the conservative evangelical group Reform, said she sympathised with Bishop Chamberlain for having been "hounded by the secular press and forced into making a statement". "All human beings have a range of complex desires, who he is attracted to should not make any difference to his ability to do the job of a bishop," she added. It is thought no serving bishop has ever before gone public about their sexuality. The former archbishop of York, Lord Hope, said in 1995 that his sexuality was a "grey area". 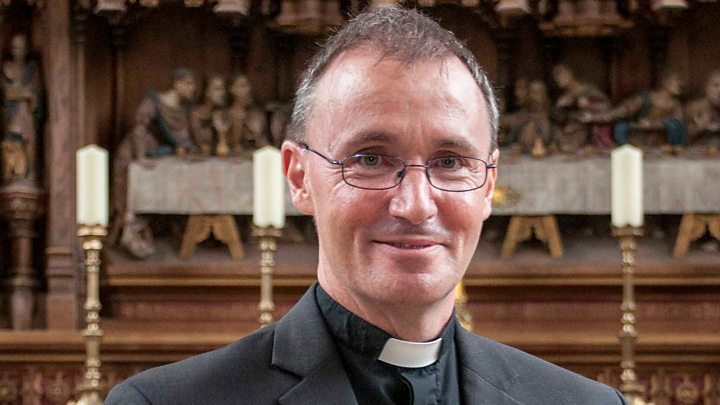 The Dean of St Albans, the Very Reverend Jeffrey John, did not take up the office of bishop of Reading in 2003 after an angry reaction from traditionalist Anglicans about his sexuality. Bishop Chamberlain said he had been with his partner for many years. "It is faithful, loving, we are like-minded, we enjoy each other's company and we share each other's life," he said. Asked about whether other bishops might follow his lead in openly declaring their sexuality, he said: "I really can only speak for myself. If I'm an encouragement to others, that would be great." Bishop Chamberlain said the Church of England was "still at the beginning of a process of learning" about issues of sexuality, describing it as a struggle. He said he hoped to be a "standard-bearer for all people as a gay man" and that he hoped he would be able to "help us move on beyond matters of sexuality". He added that he hoped to be "judged by my actions as a parish priest, a bishop - and by the Lord ultimately". Reverend Sally Hitchiner, who is gay and runs the LGBT support group Diverse Church, told the BBC she was looking forward to the day that a bishop's sexuality was not a news story. "He's being very clear that he's sticking within the Church of England guidelines and being celibate. Most of us in the Church do know about people who are gay in high office," she said. "There's a lot of discussion about this and whether or not it's going to make it more difficult for conservatives to hold their view with integrity within the Church or whether it's just a really helpful thing for everyone for there to be more visibility on all levels of the Church and say everyone is welcome no matter what your orientation or gender." But Bishop Chamberlain's revelation is likely to cause further tension among Anglicans. Last month 72 traditionalist members of the Church's ruling general synod wrote to all bishops, encouraging them to abide by biblical teaching on sexuality. Last week the Archbishop of Canterbury said in an interview that he "couldn't see the road ahead" when it came to the Church's policy on sexuality.